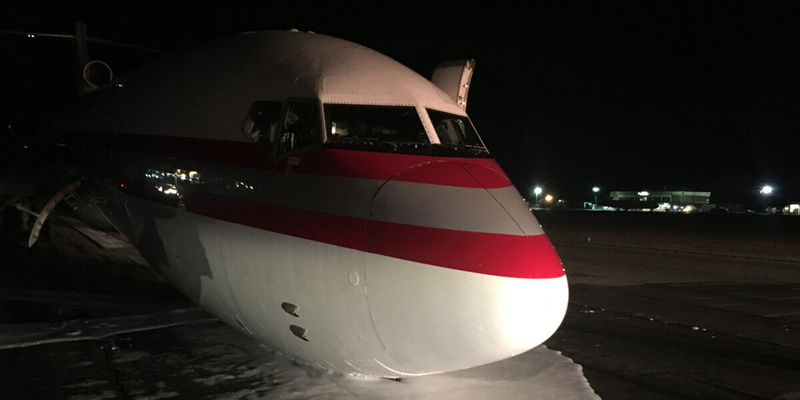 TUSCALOOSA, AL (WBRC) - A cargo plane incident at the Tuscaloosa Regional Airport closed the main runway on Monday night. The 727 experienced a front landing gear failure. Tuscaloosa Mayor Walt Maddox confirmed on Twitter that the crew is safe, but the primary runway at the airport was closed. Regional airport officials said the main runway reopened on Tuesday.